So how do you go about doing that? After all, in a divorce time with the children and control over decision-making can only be divided so many ways. The way that legislators in Michigan chose to handle the matter is to simply mandate equal time. That’s right, by ensuring that judges award joint custody, almost down the line, there’s little left to fight about. This past week, the House Judiciary Committee in Michigan approved a bill that would require judges to award joint legal custody of children to parents going through a divorce in the state. 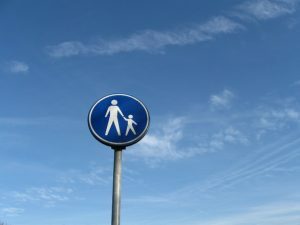 The measure says that judges would be required to award joint legal custody and substantially equal parenting time (meaning no parent could receive more than 200 nights with the children each year) unless there’s a preponderance of evidence indicating domestic violence exists in the family. The law goes even further in restricting families, saying that parents are prohibited from moving more than 80 miles away from the other parent. This would obviously greatly impact a family’s ability to grow and change as time goes on, including pursuit of new career opportunities. Finally, the bill says that only if a child is 16 or older would weight be given to his or her preference on custody. The reason for consideration of the measure is an attempt to create more uniformity in custody awards across the state. According to a supporter of the measure, right now custody outcomes vary across the state not based on parents or children or specific facts, but entirely based on the judge making the decision. The aim of the new legislation is to remove judicial discretion from the equation and simply award both parents equal time, no matter what. Supporters say they have studies to show that equal parenting time benefits children and the latest measure is a good way of ensuring that happens more often than not. Critics of the bill, and there are many, have come out in force. They argue that the requirement that parents must not relocate will create economic hardship for many families, especially given increasing mobility. Additionally, the aim of eliminating judicial discretion misses a key point: judges act as important gatekeepers, ensuring that someone is watching out for the best interests of children. The fear is that by preventing judges from serving in their traditional role, children could end up suffering. The fact is, all families are unique and no one solution works for everyone. Though joint custody might be a great thing for some, it might be terrible for others. Imposing a one-size-fits-all approach on the custody process doesn’t help and runs the risk of hurting.